Another one of those typical 80s compilation cassettes with a thematic approach. This one is 'death' - not very cheerful days I guess. I recited a text over music that is quite similar to the 'Real Time Music' b-side. 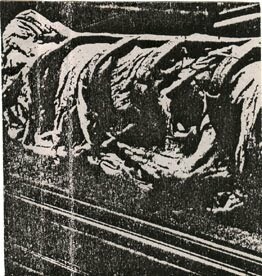 Text found in Force Mental about the decaying of corpses. Besides many reworks of the Assemblage 7"s, I also reworked 'Anathesia' a lot into various releases. 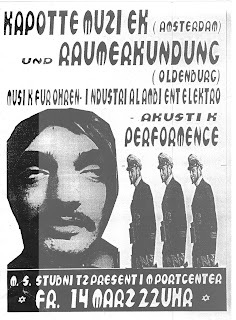 One was 'Lauter', originally a C45 cassette for Harsh Dept, later to become Absurd, run by that lovely lunatic Nicolas Malevitsis. Later on he asked me to re-issue this as a LP, which didn't happen, but instead, with a long extra track as a CDR. That can be found here. And here's one I forgot to post last month. A rather obscure compilation by Marks Schwill's Schutt Und Asche label. Schwill used to live around my 'corner' in Germany and would drop by on saturday's morning at my house for a chat. 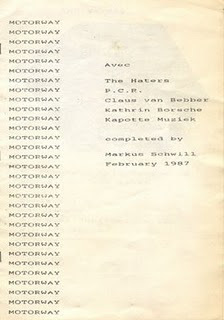 This particular compilation had some environmental touch to it, although I doubt it made any money for Greenpeace. I recorded my piece along a new motorway just outside of Nijmegen, near where my parents lived. One day I got a phone call from Nico Selen, from IF Records, which was not a rare thing. I organised for his label the 'Motop 1' LP and later on 'Motop 2' CD. He was one of those persons who phoned a lot in the late 80s. But that night he started talking about how happy he was with the sales of the 'Motop 1' LP, and that there was some profit and whether he was now considering to do a LP by one person. I was expecting he was asking me to do a split LP with Kapotte Muziek on one side and one of his projects on the other side. I was amazed when he proposed to do an entire LP of Kapotte Muziek. I decided it should be an overview of earlier cassette works. You can't believe how proud I was when it came out, complete with an insert explaining each track. 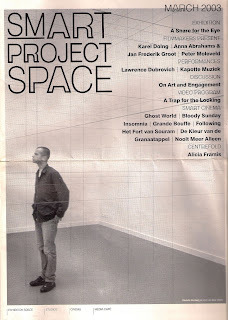 I went to Christian Nijs, who by then moved out of my sight but I still knew where he lived, to give him a copy since it included also some of his work. He played it while I was there, and was slightly bemused, saying 'I can't remember any of this'. It was more or less the last time I saw until 1999 when I bumped into him at the supermarket. Still one that deserves a CD release. I happen to know that the version here is a remastered version by Jos Smolders. Excellent job there - you too should hire him for your mastering. A few years after the already posted concert from Stockholm, there was a double CD release documenting the festival. It seems still available! A compilation tape released by Egmondse Klank Op-Sessie, well actually five tapes, showcasing a lot of interesting experimental groups from The Netherlands. There are no tracks mentioned on the cover, but my piece was the first in the series of pieces called 'Audio Plagio'. The whole series can be found here. But let me use this opportunity to give some insight in that forthcoming 10 cassette box, so now what its like and what won't be posted here. 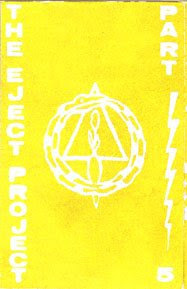 Tape one will have two tapes from 1986: 'Weapons Of Musick' and 'Aircraft'. 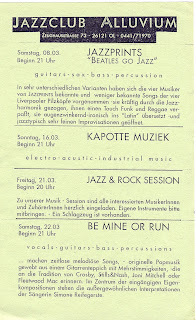 The second one has two tapes from 1992: 'Vier Stukken' and 'Murmer'. 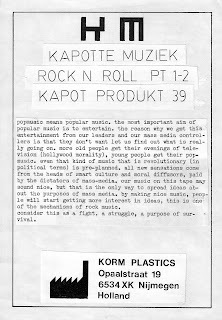 Tape three has vinyl works from 1989-1996, being 'Intonation', a split with Asod Dvi (previous unreleased), 'Real Time Music', side B of the never released 7" with Agencement, the KM side of the split with Grunt and 'Sind'. Tape four has the collaboration with The Grey Wolves on one side and Vidna Obmana on the other side, both previously released Death Pact Tapes. Tape five will have a whole bunch of compilation tracks: from a 7' by Nuthouse (previously unreleased), Beast 666 (previously unreleased), Ache Records (previously unreleased), SEI Records (previously unreleased), Epitapes, Sicktone Records, Discipline Products, Broken Flag (previously unreleased), Suitcase Recordings, Vandal Cassettes, Honeymoon Productions, Empty Records, Freedom From (previously unreleased), Independent Friends. Tape six has one side the 'Anathesia' release, and on the other a rework of that which was released by Bake Records in a private edition of 2. Tape seven has the first two concerts (from 1986 and 1987), tape eight two concerts from 1993(May 8 1993 at Gargoyle Mecanique, New York, USA and May 18 1993 at Al's Bar, Los Angeles). 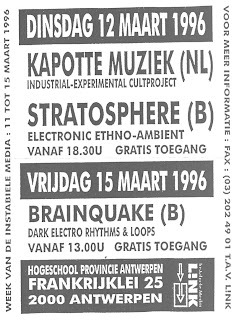 Tape nine tape 9 two concerts (March 12 1996 at HPA, Antwerpen, Belgium and May 25 1997 at Extrapool, Nijmegen, The Netherlands) and tape ten (February 18 2005 at Tent, Rotterdam, The Netherlands and November 5 2009 at Maakhaven, Den Haag, The Netherlands). plus a 2010 remix by Freiband. I know it sounds like a masterplan but it isn't. Yesterday a solo cassette from me, and a day later, in the same year, one from Christian. Perhaps the only one he recorded as Kapotte Muziek. Quirky rhythms. I actually always loved this release. 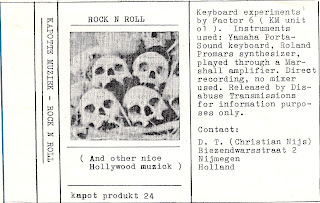 It was released by Disabuse Transmissions, Christian's short lived label, all of the releases can be downloaded here. 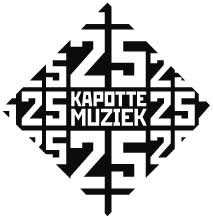 It also includes a compilation with a Kapotte Muziek track. A slightly different version of the first two tracks can be found here. Visual for that above. A pretty much early solo cassette, perhaps influenced by Boyd Rice, working with loops of records, the lock grooves you'll find at the end of some. I forgot which ones I used. Perhaps you could see this as a early interest that later developed into the Goem concept?